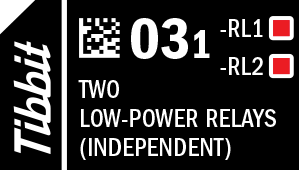 These relays are rated for 1A/30V. There are two red LEDs which are connected to two relay control lines. LEDs light up for the LOW state of control lines (i.e. when relays are activated).